Srinagar, Nov 6: The Ladakh region remained cut off for the 6th day on Tuesday from the Kashmir valley due to accumulation of snow and slippery road condition, particularly between Sonamarg, Zojilla pass and Meenamarg. 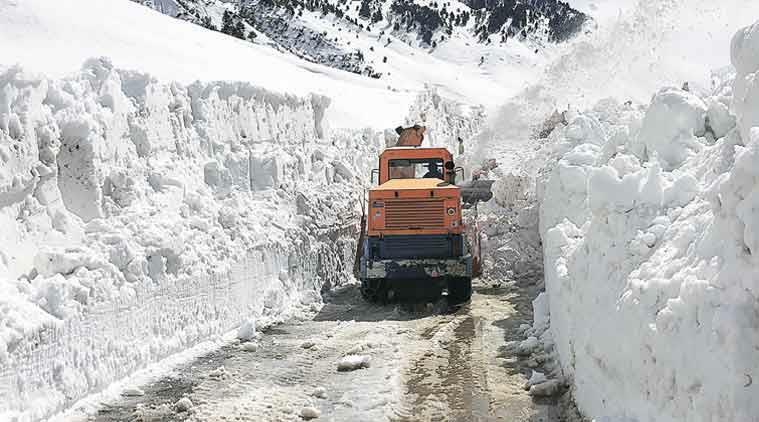 Meanwhile, Gumri-Sonamarg road in the central Kashmir has also been closed temporarily due to snowfall and slippery road conditions, a traffic police official told TNN. He said traffic remained suspended on the highway, the only road linking Ladakh region with Kashmir due to accumulation of several feet of snow. The road has become slippery as snow has also frozen at several places due to below freezing temperature. The Border Roads Organisation (BRO) has already pressed into service sophisticated machines and men on the job to put through the highway. However, it will take some more time and traffic will be resumed only after weather and road condition improves, he said. Meanwhile, large number of Ladakh bound vehicles, particularly trucks carrying essential commodities and oil tankers, are stranded at Sonamarg in central Kashmir district of Ganderbal since Thursday. Similarly, Kashmir bound empty trucks and oil tankers are stranded at several places, including Drass, Kargil and Meenmarg on other side of the Zojila. No traffic will be allowed on the highway until a green signal is received from traffic police officials posted at different places and BRO since there is now threat of avalanches also, he said.